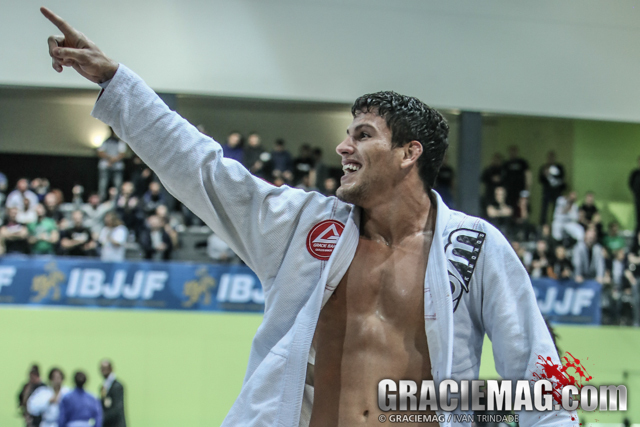 Last month GRACIEMAG.com posed the question: “Who can stop Keenan Cornelius at brown belt?” and an overwhelming amount of responses came in from fans, coaches and even competitors themselves stepping up to claim that title. One of those competitors was Jackson Sousa of Checkmat in Rio de Janeiro, Brazil. The brown belt heavyweight had just won double gold at the Brazilian No-Gi Nationals, a feat that Keenan Cornelius has performed eight times in 2012. Based on the responses and the actions of Jackson Sousa, Keenan’s coach, Lloyd Irvin, Jr, was prompted to ask the same question on his Facebook page. The only difference between his poll and ours was that it had a proposal along with it — what about holding Gi and No-Gi, submission-only, no-time limit supermatches with Keenan against a brown belt opponent who was voted worthy enough? The same responses flooded his Facebook status update, however, even more initiative came from Brazilian brown belt world champion Joao Gabriel Rocha of Soul Fighters, who personally messaged Lloyd to ask for the chance to become Keenan’s opponent. That sentiment changed when Joao’s intentions were revealed a day later in a second message to Lloyd, on November 11, as Joao implied that the supermatches were a way to fight a challenge in order to defend his team, whom he felt was targeted in the opinion Lloyd made public regarding IBJJF refs after the final match at No-Gi Worlds between Team Lloyd Irvin black belt JT Torres and Soul Fighters’ Augusto “Tanquinho” Mendes. 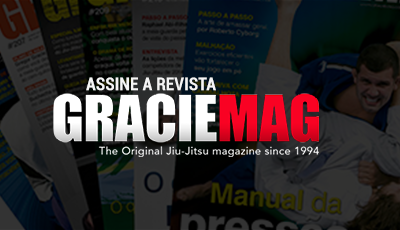 Now retracting the opportunity from Joao, Lloyd sought to create a bigger and better way to act out his initial ambition: ” … I just want to help people that love BJJ reach their dreams, whether they are on my team or not … ,” he explains on hisFacebook page. With the existence of Team Lloyd Irvin’s reality show, The Next World Champion, it is only natural that Lloyd would use the show as a way to further build exposure for BJJ and help land it in the hands of prominent networks by producing a branch-off that will showcase the now submission-only tournament with the best brown belt competitors in the world as voted by the fans, called The BJJ Kumite. The BJJ Kumite was born through much involvement of members of the Jiu-Jitsu community who follow Lloyd’s requests in finding the best brown belt competitors around the world. Nearly every detail of the show has evolved by the status updates made on the Lloyd Irvin, Jr Facebook fanpage where he seeks suggestions, feedback and information about the athletes and the rules for this submission-only event. For the past two weeks, athletes were voted on and confirmed to attend as a way to offer exposure, recognition and financial support for their dedication and sacrifice to the sport. Today, the athletes begin to arrive in Camp Springs, Maryland, after making their travel arrangements and producing their own videos to showcase their preparations on the reality show. $1000 for each division; one gi and one no gi. $250 money moves if athletes finish their matches with a pre-determined submission. 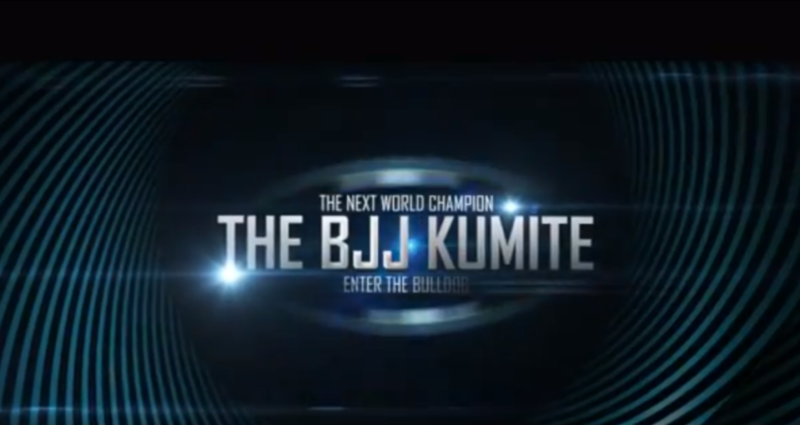 Stay tuned at GRACIEMAG.com for updates on The BJJ Kumite throughout the week!